Since Judea and Samaria are governed by a civil administration under the umbrella of the Ministry of Defense, yet another approval was needed. And this was not forthcoming. It was politics. Ariel College had met all criteria for becoming a university. But, shock, horrors: A full Israeli university in Samaria? That suggests permanency and will lead to expansion of a "settlement." British Foreign Secretary William Hague actually had the gall to say in September that Israel should reconsider its decision on this school. His attitude was not new. In 2009, for example, the Spanish Housing Ministry disqualified the university center from participation in an international architectural competition because it was located in "occupied territories." At any rate, this week Defense Minister Barak instructed Major General Nitzan Alon, the Head of the IDF's Central Command, to grant the school final approval. This was after the attorney general had said there was no legal obstacle to doing so. General Alon signed the appropriate document yesterday, and it's a done deal. I have been advised by someone directly involved in Ariel that this did not represent a softening of Barak's heart on this issue: a great deal of hard work behind the scenes went into achieving this. However it was achieved, this is a cause for celebration. And I think it's good to know that with hard work nationalists can hold sway at least part of the time. The university is attended by 14,000 students, including Israeli Arabs and the highest number of Ethiopian-born students of any university. It has 26 departments and three schools, and cooperates with other institutions of higher learning and development world-wide. Toronto University, for example, partners with Ariel University on an MBA in business administration. As well, Ariel University is recognized as a Microsoft IT Academy and is authorized to do certification exams for Microsoft Network Administration. As an example of how politically fraught this whole Ariel issue is, I share this last bit of news: The Council of Presidents of Israeli Universities yesterday filed a motion with the High Court against the upgrade of the university. "These are elections days and any decision on this sensitive matter can be interpreted as a political move. This is not logic in acting so urgently." So urgently?? You have to laugh. "After I added a billion shekels in a multi-year program to strengthen universities and colleges in Israel, it's quite outrageous to receive complaints about budgetary damage caused by Ariel University." Bottom line: These academics tilt left. The president of Bar Ilan University withdrew from the proceedings in opposition. I do not have any serious concern that the Court will overturn what is now an accomplished fact. 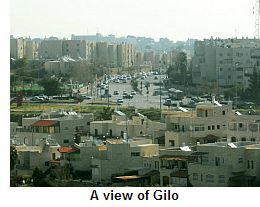 The Interior Ministry has passed on 1,200 housing units for the Jerusalem neighborhood of Gilo. Final approval must go through the Jerusalem District Zoning Committee. Once this is accomplished, construction tenders will be issued. The planned expansion will be on 66 acres of privately owned and municipal land along the southern slopes of the city. Gilo is at the southern tip of Jerusalem over the Green Line. It is solidly and completely part of Jerusalem -- even though it is often referred to as a "settlement" in "East Jerusalem." Anything over the Green Line is called "East Jerusalem," a code for "Arab Jerusalem." A statement on Wikipedia that I just discovered can help you understand how ludicrous this all is: Gilo, it says, is located in "southwestern East Jerusalem." Cute. This neighborhood, with a population of 40,000, is on land that was Jewish-owned going back before the State of Israel was founded. I would like to offer a parenthetical comment here on the whole issue of new housing, which is forever being interpreted as a provocation. The simple fact is that Israel's population NEEDS more housing. We have the highest birthrate of any Jewish population in the world, a far higher birthrate than Europe (Europeans, non-Muslim, are not even reproducing themselves) and I am almost certain, a higher birthrate than the US. This is an extraordinarily positive statement -- an expression of hope, a way of, literally, choosing life. One of the things that I love about Israeli society is how child-oriented it is. There are kids -- precious, beautiful kids -- all over. But the bottom line is this: We have babies. The babies grow up and marry and want to have more babies. And they need apartments to live in. Needless to say, the Palestinian Arabs are not very pleased about this announcement or the prior one concerning building in Ramat Shlomo. Ahmed Halabiyeh, director of Hamas's Jerusalem Department, called for armed groups to initiate confrontation with Israel over intentions to do building in Jerusalem. He is calling for "a third intifada to save the Aksa Mosque and Jerusalem," and says that among various techniques of resistance there should be first and foremost "martyrdom operations in the heart of Israel." "Martyrdom operations" mean suicide bombings. This is because we're tying to "Judaize" Jerusalem. Another of my favorite phrases. Jerusalem IS Jewish and has been for over 3,000 years. 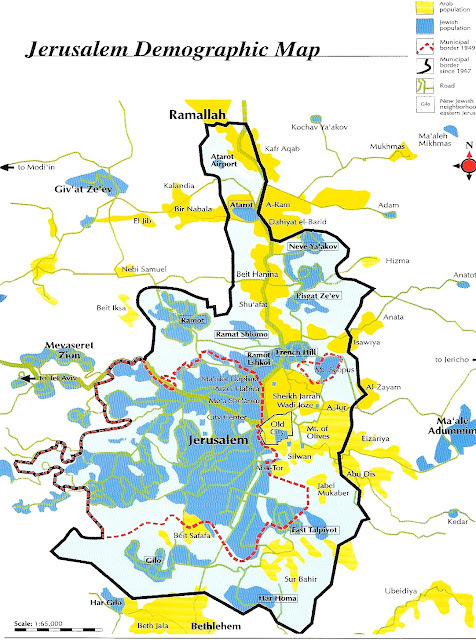 The fact that there are Arab parts of eastern Jerusalem is no more than the result of a brief and aberrant period in the city's history: when Jordan controlled the eastern part of the city, from 1949-67, it rendered it Judenrein, banishing all Jews, destroying synagogues, and reneging on a commitment -- written into its 1949 armistice agreement with Israel -- to allow Jews access to the Kotel. The fact today, however, is that Jews have returned to the eastern part of the city now in large numbers. It is no longer possible to say that "East Jerusalem" is Arab. And in spite of what you may read, the Jewish and Arab neighborhoods are so intermeshed that it would be demographically and logistically impossible to divide the city in order for it to be the capital of two nations. Archaeologist Tzachi Zweig-Devira has just released a report regarding the fact that the Wakf (the Islamic trust, which has day-to-day control over the Temple Mount) is continuing to destroy antiquities and acting in defiance of a High Court ruling. That the Muslims are doing this is not surprising -- they're trying to erase evidence of the Jewish history on the Mount in every way they can. They'll do whatever they can get away with. And herein lies my quarrel: that they are getting away with it. The government is not sufficiently enforcing Jewish rights there, in spite of the fact that our attorney general has said clearly that Israeli law applies on the Mount. I note here that it is the increasing unrest and terror threat -- including the growing presence in Judea and Samaria of Hamas -- that has stiffened Netanyahu's spine. This is for him a matter of security; it is clear as clear could be what would happen if the IDF were to pull back in Judea and Samaria. 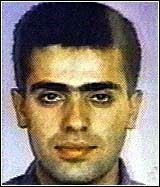 The discovery of the terrorist infrastructure described above is example enough. This was in Ramallah, at the heart of the PA (which is supposed to have its own security forces fighting terrorism). And if we weren't operating there? If there is anything Abbas is a master at, it is making threats. And these days he's in top form. He's threatening all sorts of things with regard to our plans to build in E1, including dismantlement of the PA.
Incredibly, the PA/PLO is also making threats regarding strong actions if Israel re-elects Netanyahu as prime minister. Goes to show how little they understand us. The more they threaten, the more popular Netanyahu is likely to become. Right now they are saying they may go to the International Criminal Court (ICC), call for mass demonstrations, encourage international sanctions against Israel and end security coordination. "We are going to pursue this policy to reach a point of having the international community impose sanctions on Israel," said Qais Abdelkareem, a Palestine Liberation Organization official. Does anyone at all in the international community notice that this is not the way an entity that seeks "peace negotiations" acts? They are threatening to punish our electorate for exercising our democratic right to select our leaders. A couple of days ago there were reports that Russian officials were confident that Syrian had secured its weapons of mass destruction so that rebel forces couldn't reach them. Allegedly they were moved to a safer location. And then -- as I reported -- came claims by the rebels, via al-Jazeera, that Damascus had used poison gas against them. They had videos of people unable to breathe and suffering tremors. According to a story in Israel Hayom, however, "Recent reports about their alleged use by Assad's forces were transparent spin by rebels attempting to prompt foreign military intervention on their behalf." While Minister of Security Affairs, Moshe Ya'alon, has simply said there is no corroboration of the rebel claims that gas was used by the Syrian government. Technorati Tag: Israel and Ariel University and East Jerusalem.